Where once traffic roared you can now hear the pleasant sound of children laughing and playing. 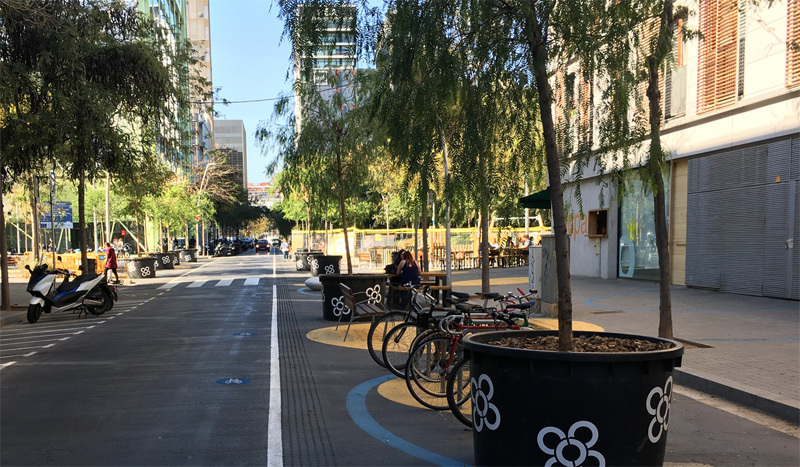 The Superblock of Poblenou is a pilot project to show what the city of Barcelona will be like when the plans of the superblocks become a reality. The difference in sound and atmosphere between the streets inside the superblock and the traditional streets in the rest of the city is amazing. It should convince the sceptics that the city streets of the future should not be designed for motor traffic, but for people. I visited Barcelona late October to be part of an Urban Thinkers Campus (UTC) “focused on how to achieve more liveable cities, which are more sustainable, healthier and safer, through the implementation of new models of urban mobility.” The congress was organised by the Federación Iberoamericana de Urbanistas (FIU) and sponsored by the City Council of Barcelona and the World Urban Campaign (UN-HABITAT). I spoke in a session called “Disputant l’hegemonia cultural al Cotxe” (Contesting the cultural hegemony of the car). Not that the objective would be to get rid of the car completely, but its role in the cities of the future should be completely revised. 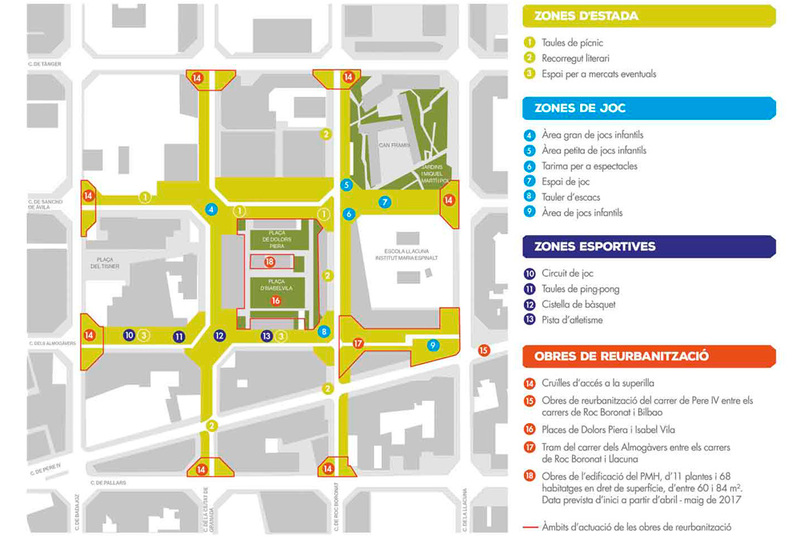 This congress was not just about Barcelona, but having a living lab so close to the venue meant most delegates got to visit the Superilla del Poblenou as the name of the superblock is in Catalan. 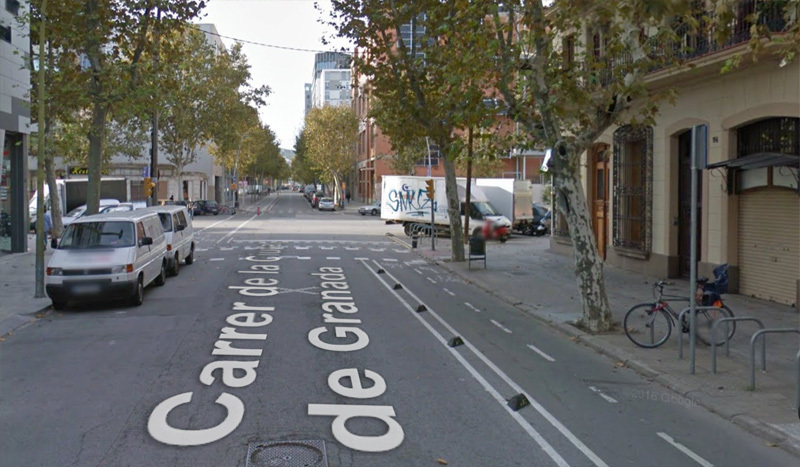 This superblock is showing us what cities can be like when you do not design first and foremost for the private car. I must mention that this was an interesting time to visit Barcelona, the capital of Catalonia. There was a noticeable political tension, especially when all the delegates were invited to a reception at city hall, right opposite the parliament building. The plane from Eindhoven to Barcelona was practically empty and so were many restaurants on the boulevard on the Mediterranean Sea, meaning many tourists must have postponed their trip. But while there were a lot of people waving flags and you could see banners on buildings, it didn’t really feel unsafe. The moment that independence was declared, on Friday 27 October, I was already in a taxi to the airport for my flight back. I see similarities to the superblock plan and what cities in the Netherlands are doing with parts of their urban areas. You introduce a hierarchy to the city streets. Some are for through traffic and some are only for residential traffic. Through traffic is forced to go around the areas where people live their lives. 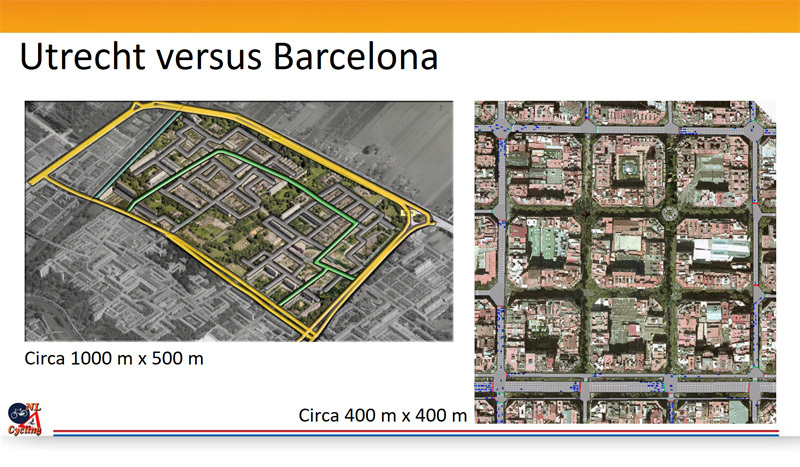 The difference being that the Dutch areas of the city around which motor traffic is led are much bigger than the superblocks are. With through traffic gone you have a lot less noise and pollution and there is a lot more space to give to people for active travel, recreation and other activities. 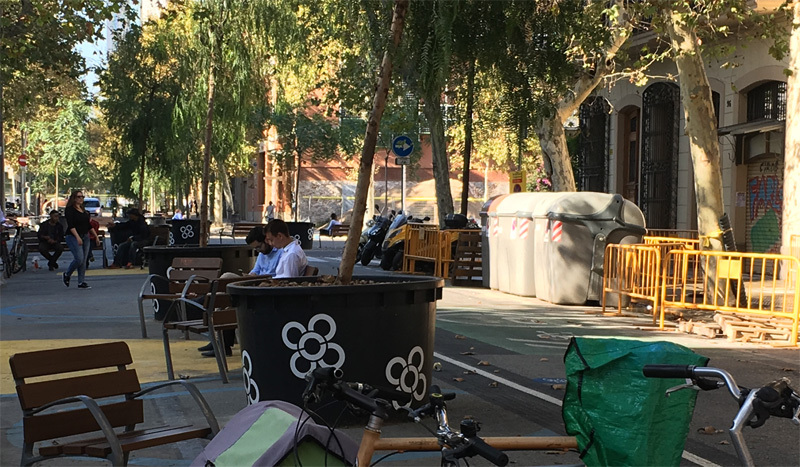 Through the Superblocks program, Barcelona is redesigning the city’s streets to limit traffic and increase the amount of green and recreational spaces available to citizens. 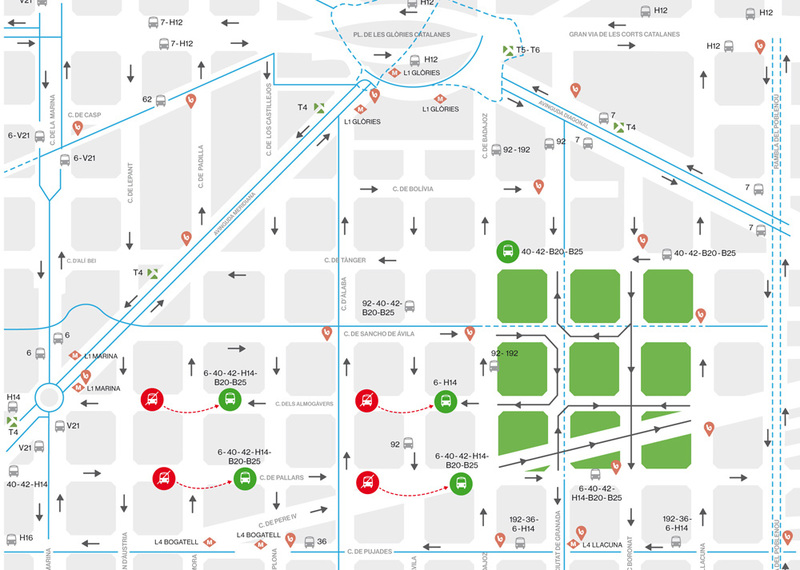 The new program changes traditional city blocks into clusters of “superblocks,” where perimeter streets allow through traffic, but inner streets are reserved for pedestrians and cyclists. So far, the city has created Superblocks in four pilot neighborhoods, and by 2019, it expects the program will achieve CO2 emissions reductions of between 20% and 75%. 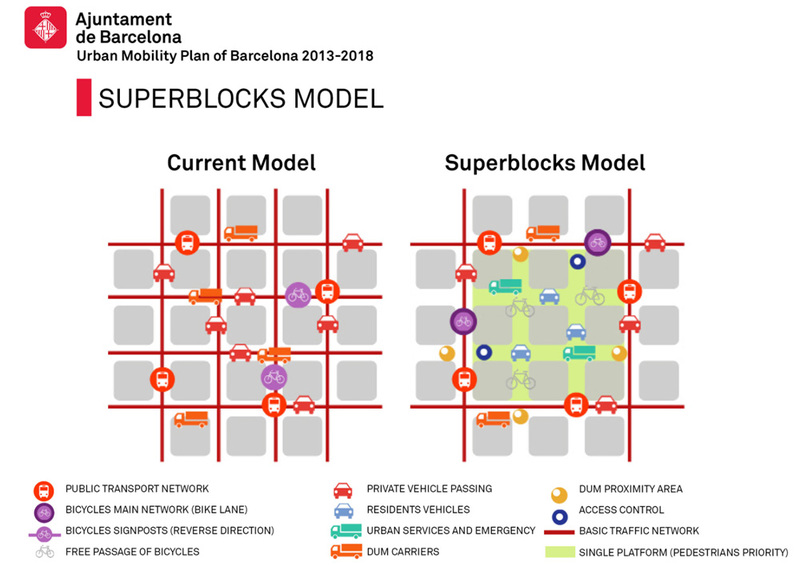 The Superblocks program does not involve major physical changes, which allows for experimentation and reversibility. 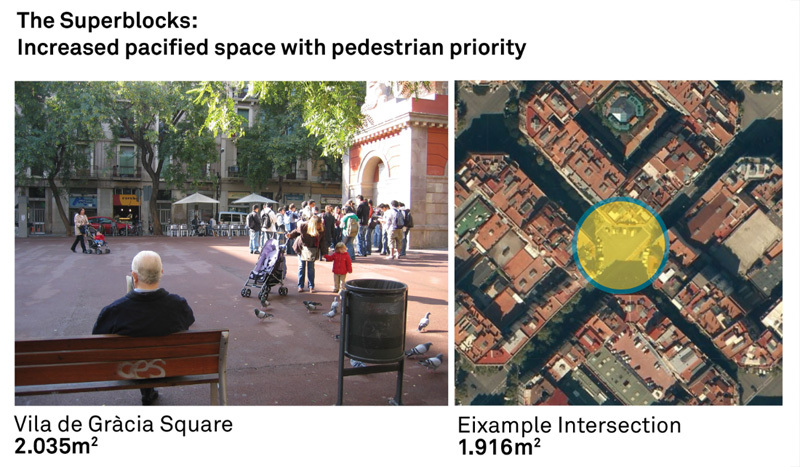 The project is part of a larger Urban Mobility Plan, a strategic measure of Barcelona’s Climate Commitment, expected to decrease traffic by 21% while extending car-free spaces by more than 23 hectares and adding 300 km of bike lanes. This measure will reduce CO2 emissions by 159,100 metric tons per year. 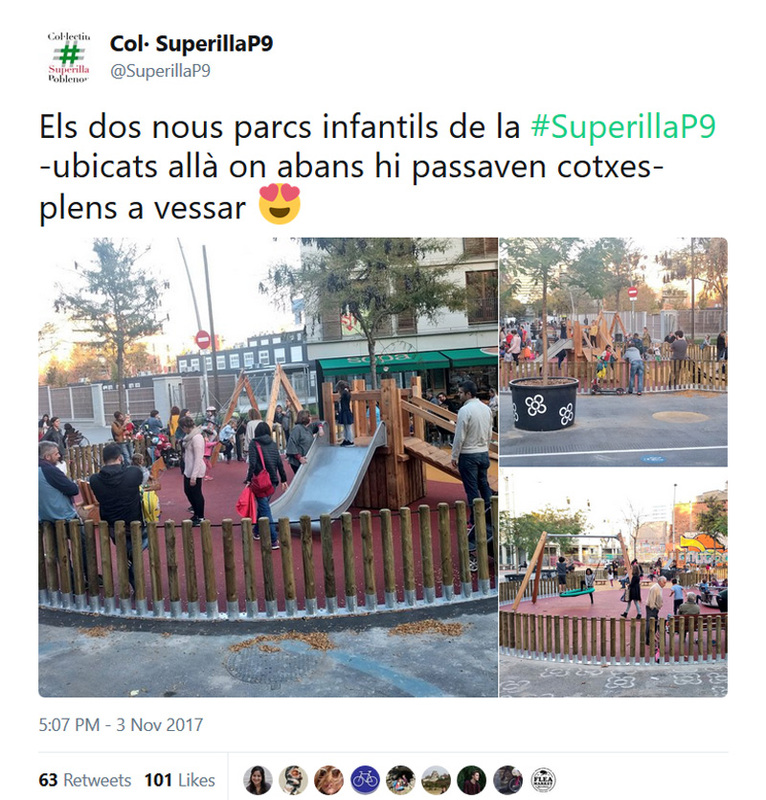 From the four pilot superblocks I visited the Superilla del Poblenou. It was opened in September 2016. The first measures were cheap and would have been reversible: painted lines, plants in pots and simple seating. But from fall 2017 the city would be building more permanent features here, and I could clearly see that was happening. As you will also see in my video, two children’s playgrounds were almost finished. Indeed, last weekend the children finally got to play in these playgrounds for the very first time. That is really filling the streets with life, as the motto on the banners is “omplim de vida els carrers”, something that not everybody is convinced about. One opponent said the city area is deserted after 9pm and because there are no cars she feels socially unsafe. Apparently, she needs cars to feel safe in the street, an upside-down world view. 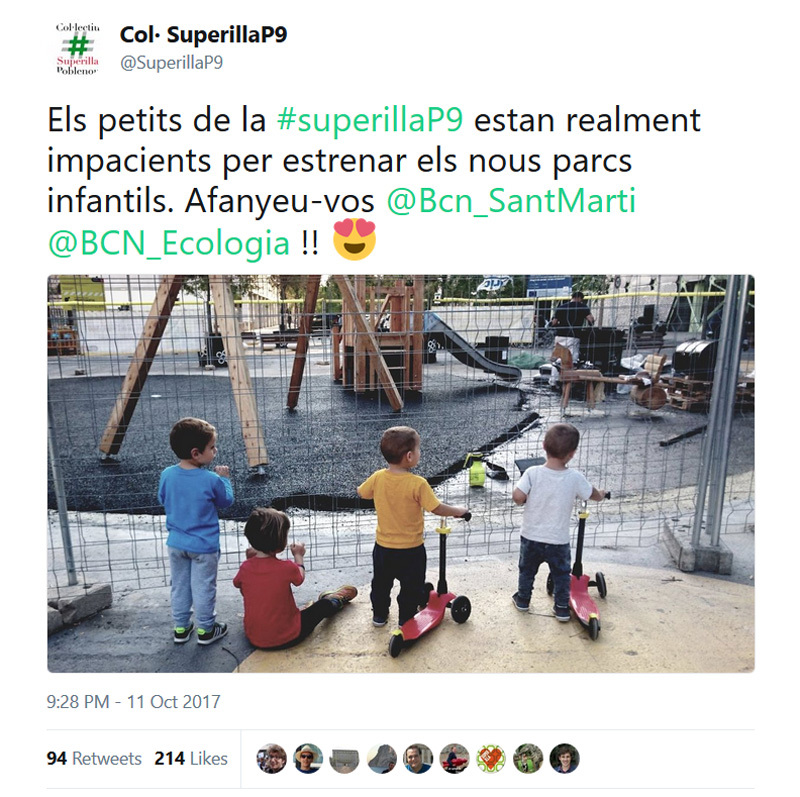 Another spokesperson of a group opposing the superblocks claims a simple trip became much longer: from 900 metres it increased to 2,700 metres. The poor fellow… But if the superblocks make 900 metre car trips more difficult, forcing people to use alternatives, they serve a good purpose in my opinion. 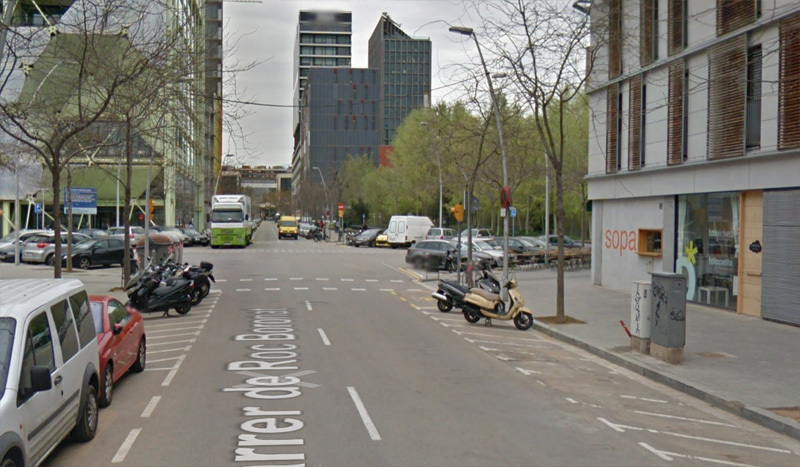 I think the Superilla del Poblenou already looks very attractive. I have spoken with residents who are very happy with it. They were so proud of their new neighbourhood that they invited a number of delegates into their homes to look at the revived city space from above. Other pilot projects have proven; the more permanent they become the more the resistance wears of. In response to a protest councillor Janet Sanz said: “we will continue to work on your goal, which is to make a more liveable city, the superblocks are the guarantee to having a more human city, traffic calmed and less polluted”. 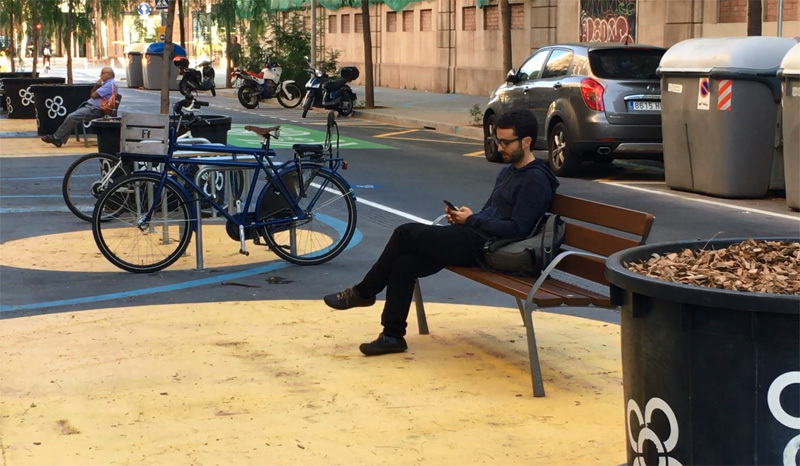 My video about my trip to Barcelona and the Superblock of Poblenou in particular.